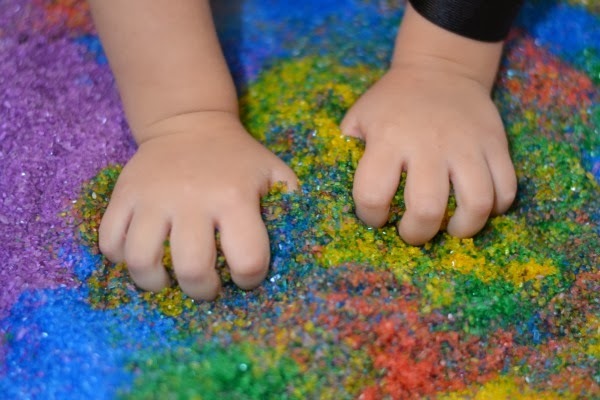 My girls love sand play, and the colored variety is always the most fun. 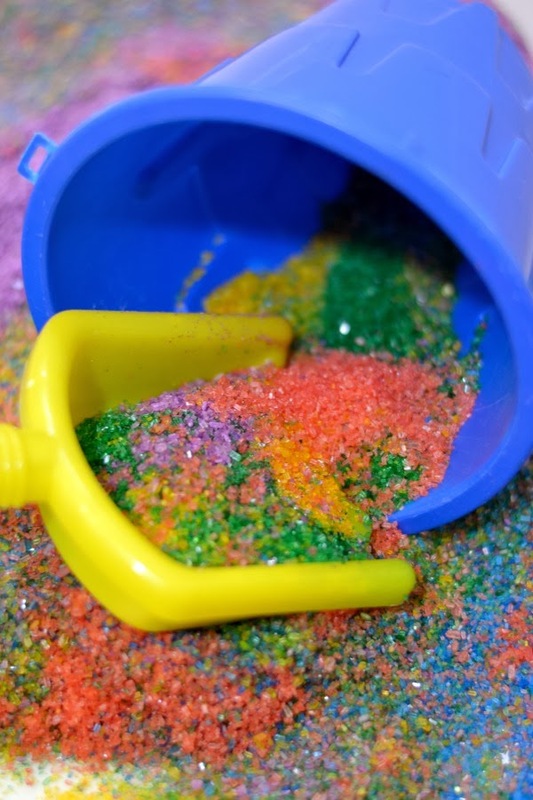 However, store bought colored sand can be a bit pricey, so we sought to make our own. 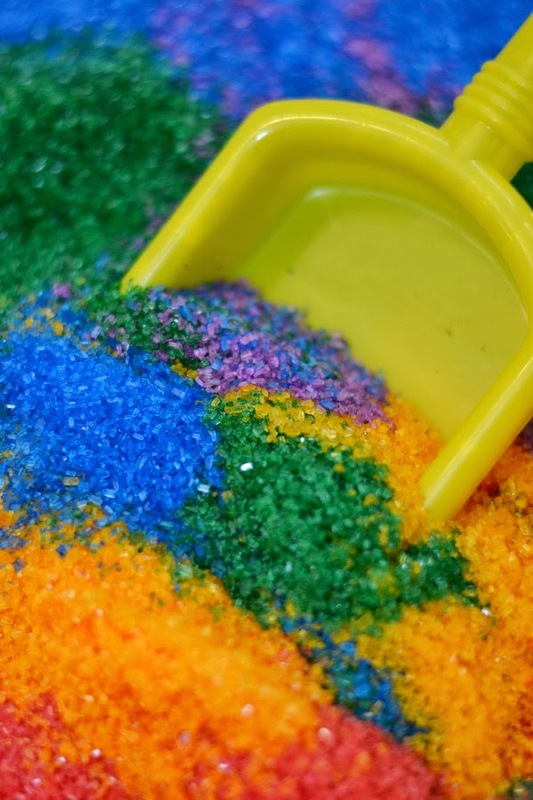 Here is an easy and frugal way to make your own colorful sand for arts, crafts, sensory play, and more! 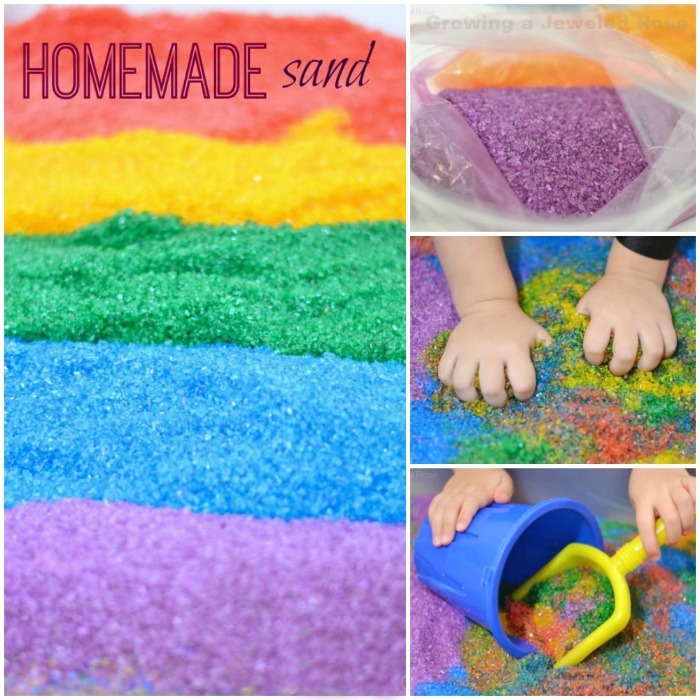 This sand really couldn't be easier to make, and it is amazingly fun! 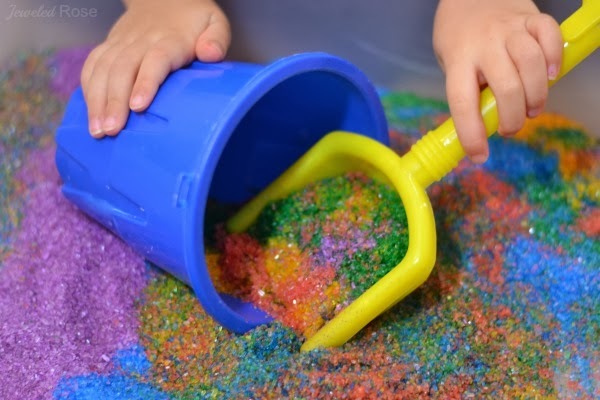 It feels so much like the store bought variety that you may never buy colored sand again. 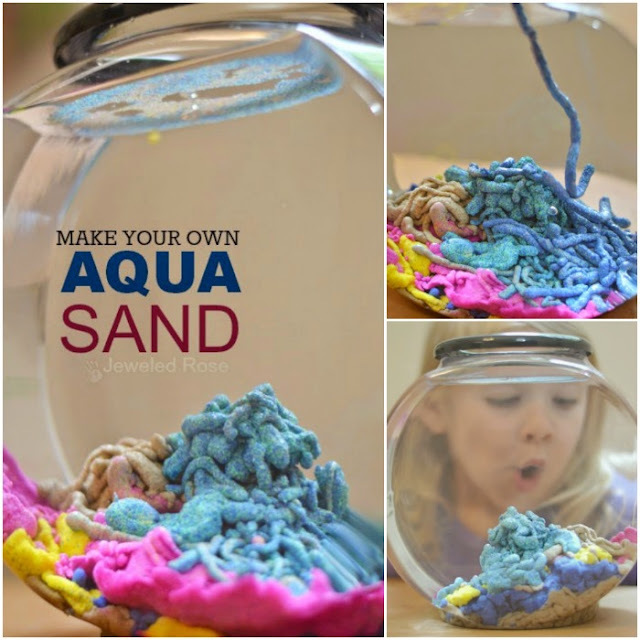 The process of making the sand is also lots of fun for kids. Add the desired amount of salt to a large zip seal bag, using one bag for each color of sand that you wish to make. Add several drops of food coloring to each bag and seal them. Then have kids squish the bags to mix the color into the salt crystals. Once the salt is fully saturated in color open the bags and leave the salt to dry. Kids will have a blast playing in the sand, and it is way easier to clean up than the store bought variety. I mean, it is still messy but vacuums easily and does not stick to surfaces the way that regular sand does. 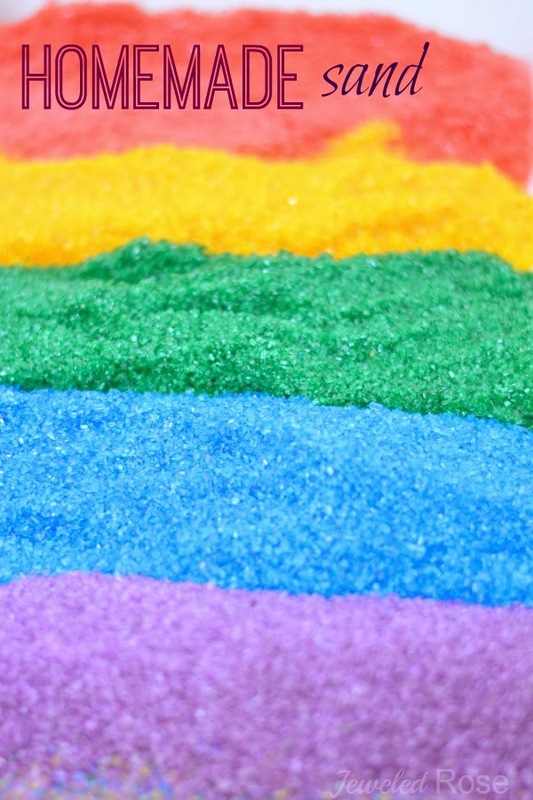 This sand can be used to make beautiful sand art, too! Basically, this sand can be substituted in any activity that you use the store bought stuff for. 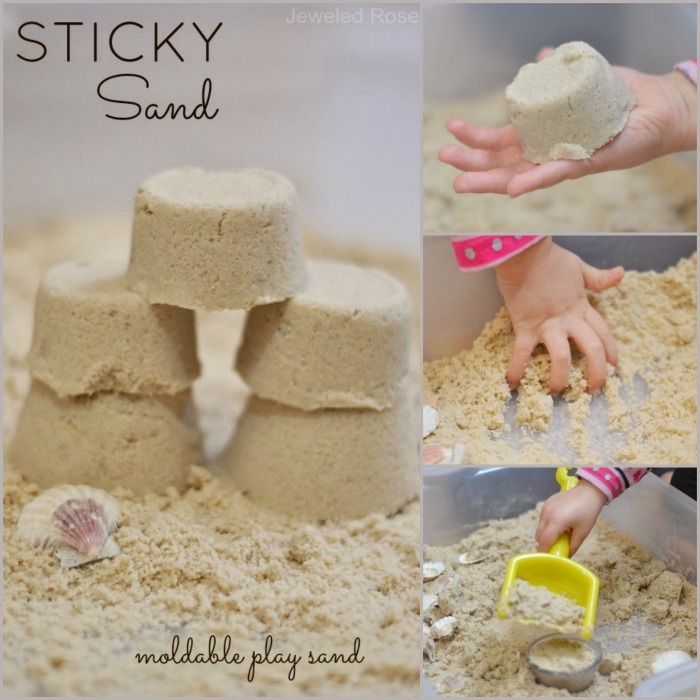 A Few Tips: Everything needed to make this sand can be purchased from the dollar store or Walmart. 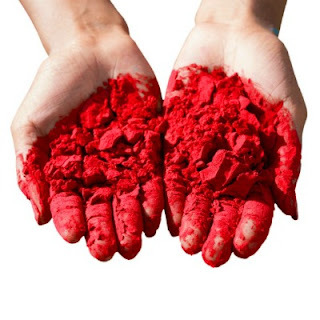 Be sure to let the sand completely dry to avoid color transfer onto the hands. To get really vibrant color I recommend using liquid watercolors like the ones sold on Amazon here.